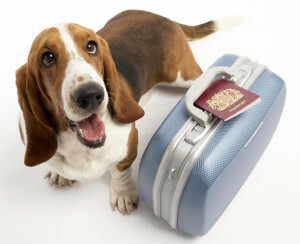 The Hilton brand operates a worldwide pet passport policy, allowing medium sized pets up to 35kg. Pets are only allowed in your bedroom and in transition to outside and are not allowed in any of the function rooms or recreation areas serving food. This is a strict policy which unfortunately cannot be adapted to suit our event. The pet passport fee is £10.00 non refundable, and limited to one pet per attendee. You must be in an agreed room share in order to register for this option. We [Hilton] are pleased to have you and your pet as our guest at Hilton Birmingham Metropole. We have outlined a few simple guidelines that will help ensure the safety and comfort of you and our other guest’s whilst visiting our hotel. Due to potential disturbances to other guests, such as barking, we ask that where possible pets are not left unattended in guestrooms. Should this be unavoidable, please ensure that the ‘Pet in Room’ door hanger provided is displayed on the outside of your bedroom door and that Front Office has been notified, dialing extension “0”. Any disturbance must be curtailed to safeguard all our guest’s rights to privacy and a peaceful stay. Regretfully, the hotel prohibits the presence of pets in any of the hotel’s health club, pool areas, dining, and beverage or lounge venues. Naturally, this exclusion does not apply to assistance dogs. You are responsible for cleaning up after your pet whilst both in the hotel and within its immediate vicinity, such as outside the hotel’s entrance. Our housekeeping department will be happy to provide you with refuse bags. Please contact the hotel’s Housekeeping Department, to co-ordinate daily room cleaning-service. It is often far more convenient for you and your pet to have the daily room cleaning service whilst you and your pet are out of the room. If the pet is in the room while your room is being serviced by a member of the hotel team the pet must be caged and supervised by the guest. You are responsible for any and all property damage and / or personal injuries resulting from your pet. You must further agree to indemnify and hold harmless the hotel, its owners and its operators from all liability and damage suffered as a result of your pet. The hotel reserves the right to charge your account an amount of £35.00 per stay to defray cleaning costs. Also, the hotel will charge you an amount, which the hotel will incur to repair any damages caused by your pet. If the hotel determines in its sole discretion that the pet is objectionable to other hotel guests, it is the responsibility of the owner to make immediate arrangements to house the pet outside of the hotel. PLEASE NOTE: On arrival at the hotel during check-in, you will be required to fill out and sign the Hilton Worldwide Pet Policy document that confirms you agree to and adhere to the Hilton’s guidelines and procedures. Owing to the fact that pets are not allowed in any of the function rooms, and must be in transition from guestroom to outside or visa versa, attending only guests are discouraged to bring pets along as they will need to remain outside for the duration of your stay. However, you are not prohibited from having your pet outside, but whilst on the hotel grounds, are subject to the same terms and conditions as residential guests. Any attempts to not adhere to this may result in you being ejected from the convention, and the hotel grounds.